Katlin Smith is the champion of 100% label transparency, real ingredients and on a mission to clean up the middle of the grocery store. We love anyone who makes knowing what we are eating easier, healthier and more transparent —and gets it, that snacking is life! 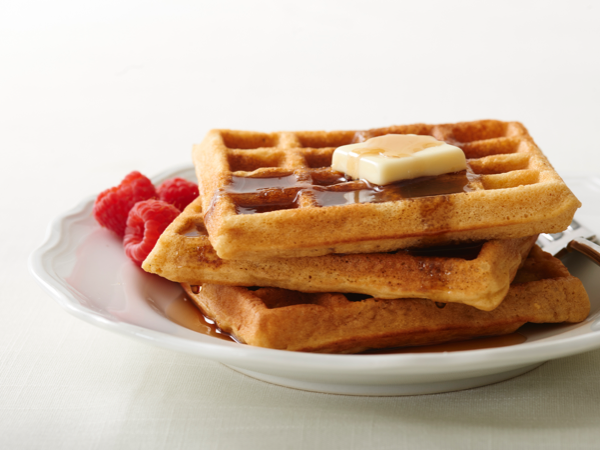 What was the inspiration behind Simple Mills? My moment of clarity came after many years of suffering from pain and not knowing the cause. I eliminated a lot of things from my diet but didn’t get any relief until I was eating healthier foods from natural ingredients—that’s when my pain went away. I set out on a mission to make healthier versions of the things we were already eating, like crackers, muffins and pancakes. What sets Simple Mills apart from other food companies? We have two main priorities when it comes to ingredients—first, that all of our ingredients are real foods and second, that you know exactly what is in the product you are eating. Why is clear labeling so important? Every ingredient that is in a Simple Mills product is included on our label, you will never find something disguised as something else or hidden. A good example of this is our Pumpkin Mix— we use dehydrated pumpkin and that is all, many pumpkin mixes contain dehydrated pumpkin that also has corn as a filler. Labeling laws don’t require that the corn filler is included on the label so companies will omit it. If you have a corn allergy this is a serious problem. Do you use natural flavors in your products? We only use extracts for flavor as they must always be derived from the source the flavor claims to be from (i.e. vanilla extract comes from vanilla bean). We do not use ‘natural flavors’ because there is a lack of transparency, allergens can often be hidden in natural flavorings. Do any of your products have sesame or mustard? Sesame and mustard are not in any of the products currently. Sesame and mustard can often be hidden as ‘natural flavors’ on ingredient labels. If, in the future we were to have sesame or mustard as an ingredient, it would be included on our ingredient label. SPOKIN FAVORITE: Our fave 'healthy-ish' frosting. 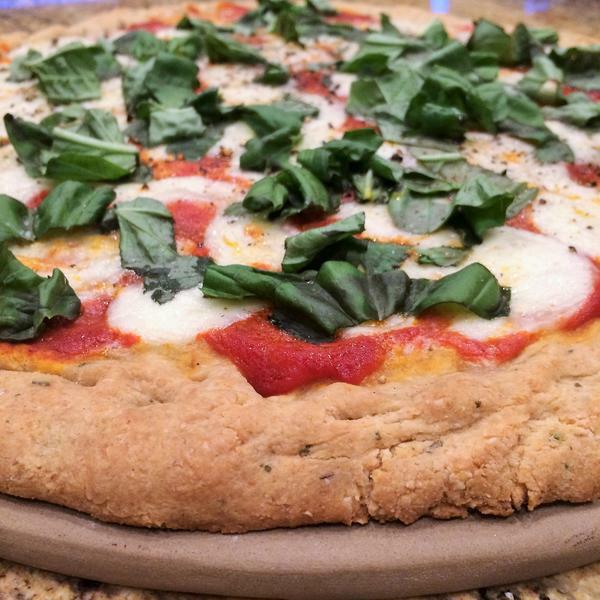 Free of Gluten, Grains, Soy, Corn, Dairy & Gums/Emulsifiers and low in sugar. Another one of your secret ingredients is sourcing, why is that important? While many companies hire contract manufacturers to select their ingredients for them — our team selects all of our own ingredients. We do not hire outside firms to do that. We maintain transparency throughout our process, every label contains all of the ingredients that are in the product and that goes all the way back to pure, clean ingredients without added fillers. What product moved you from a concept to a company? Simple Mills started with muffin mixes and baking mixes, we added frosting to complete the entire baking solution. We also have crackers, cookies, bread and pizza dough. Why did you start with some of the products that you did? The reality is, people are always going to want to snack. So finding a healthy alternative is a small change that has a big impact. Our customers love all of our products, of course! But our Almond Flour Fine Ground Sea Salt and Rosemary and Sea Salt crackers are a fan favorite. We launched our soft baked cookies at Expo West this year! We are excited to have those available on the shelves, and we are always working on new things! We are so glad you are team "better labels"! Can you #humblebrag for a sec? Thank you so much, I have a great team working with me. 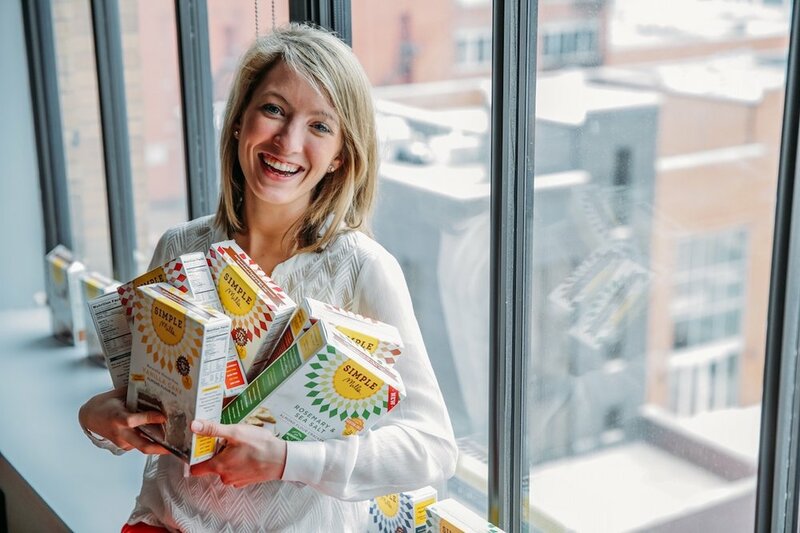 While getting my MBA at the University of Chicago I won the New Ventures Challenge and then last year made Forbes’ list of 30 Under 30—it all has helped to get the Simple Mills brand out in front of customers. And we're happy to be working to create ingredient labels that are easy for consumers to know what they're getting! Little Beet Table - This Chicago restaurant is 100% gluten free. Kesté - The greatest gluten-free pizza in NYC.